The Amazon Fire TV stick is the top flight device from the online giant to help people cut the cord. 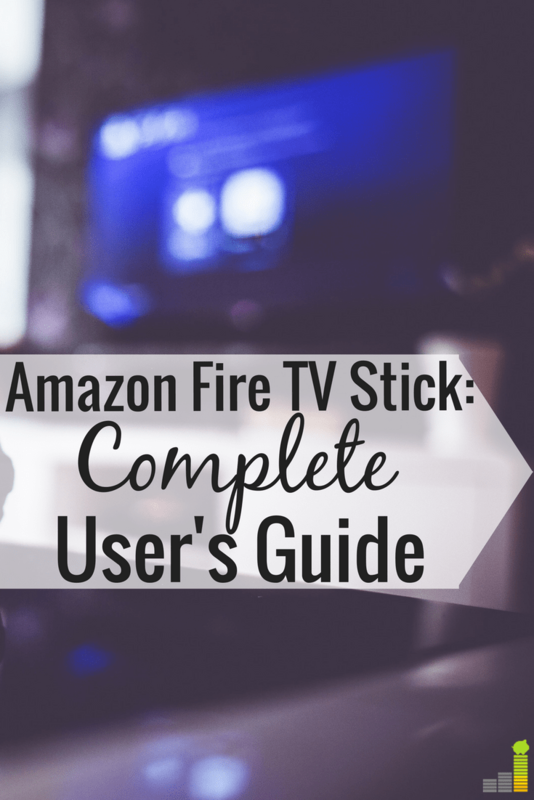 Many want to know the Amazon Fire Stick channels list and whether or not it’s a suitable option for their needs before they cut the cord. We canceled DirecTV three years ago and the Fire TV Stick has replaced a lot of the content we watch. As Amazon Prime members, we receive access to all their original content, plus movies, and much more. 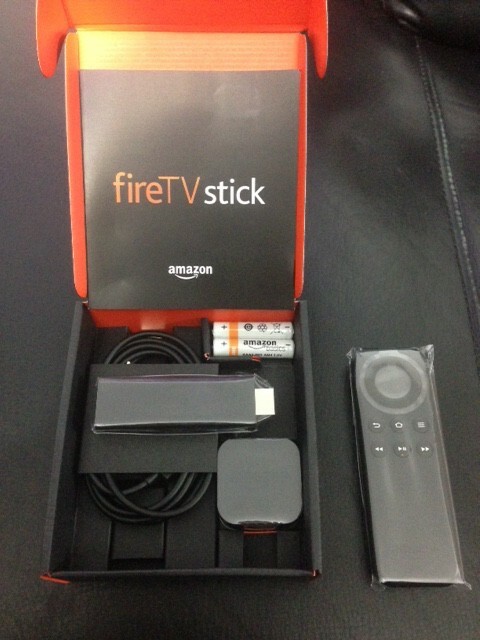 This Amazon Fire TV Stick review shares our experience using the device. The Fire Stick is the second of two streaming options by Amazon. The other is the Amazon Fire TV, which is a set top version with more bells and whistles. Here’s our Amazon Fire TV review if you prefer a set-top box option with a few more upgrades. 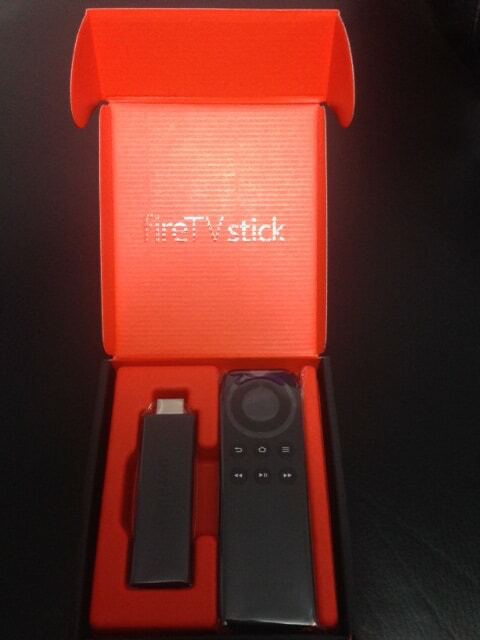 The Fire Stick is more of a plug and play dongle device you can insert into a smart TV. Before I move on with the Fire TV Stick review I do want to mention that Amazon has two generations of the device. We have the first one, which does not have the voice remote and delivers a bit lower picture quality (1080p). The first generation Fire Stick typically costs $10 less than the second generation device. Both operate the same way, and the Fire TV Stick channels list is the same on both. What Comes With the amazon Fire TV Stick? It’s not only easy to use, it’s very simple to set up. We’ve had bad experiences in the past setting up wireless routers and other pieces of technology that claim to be easy to set up but then require us to spend an hour or two on the phone with a customer service rep in Malaysia to work correctly. The Fire Stick is the complete opposite. You take the Fire TV Stick out of the box, put the batteries in the remote and connect the USB cable to the dongle and then to your TV. I recommend, as does Amazon, to plug it in to a surrounding outlet as they provide updates to it that you will not get if you simply plug the stick into the TV. Do keep in mind the cord is relatively short; thankfully, we have an outlet within reach. Once I got the Fire TV Stick out of the box, we were watching a video within five minutes. The time could be less than that, but Amazon has a short intro video that walks you through how to install and use it. The video also gives you an option to sign up for Amazon Prime if you’re not currently a member. As an aside, Amazon does allow you to sign up for a free 30-day trial of Prime by purchasing the Fire Stick if that’s something you want to consider. If you want to cut the cord on cable, replacing your favorite channels is big. As a whole, the Amazon Fire Stick channels list does not disappoint. The features aren’t too shabby either, but you most likely want the dongle for its viewing capabilities. You can see the list of the Amazon Fire TV stick channels below. It’s important to note that HBO Now does cost $15 per month, though they do offer a free 30-day trial to test it out. We’ve added it since cutting the cord and it works great. Amazon also offers Showtime and Starz as other add-on features for $8.99 per month if you like those channels. If you want to know more about the Amazon Fire Stick channels list, or have a question about it you can contact Amazon support. You can reach them at 888-280-4331, or contact them via live chat in your Amazon account. It is important to note that the Fire Stick will not replace all your content needs, but it does go a long way with its list of channels. The best option for a cable-like experience is to choose one of the best alternatives to cable TV – all of which you can connect to with the Fire TV Stick. Our favorite option is Hulu with Live TV. The service offers 60+ channels for $44.99 per month. This gets you access to many popular networks like ESPN, HGTV, Lifetime, History Channel and more. Get a free 7-day trial of Hulu Live to see how the service works for you. The Amazon Prime app is the only app that is loaded on the Fire Stick, but it’s very simple to add others. You can also easily add other apps through the Amazon App store if you like. Beyond the channels you can watch, the Fire TV Stick also has a number of games you can play. In most cases, you will need the Amazon Fire TV game controller to play these games. We’ve not used the game feature, but know it’s popular for many. We’ve not used these features, but it makes the Fire Stick that much more robust. Having used the Fire Stick for three years, I can tell you that you don’t need to have a Prime membership to buy and use it. Yes, it does add to the features, but there are plenty of options available through the standard apps. You can also add apps through the Amazon App store including being able to access Netflix, Hulu, and your Amazon video library. I’ve not used any of the other similar options out there like the Roku streaming stick, but they all work relatively similarly. We like the Amazon Fire TV Stick as we view Amazon content and are so familiar with the site. I have really enjoyed our experience with the Fire TV Stick. The price alone has made it worthwhile. Incredibly simple to use. You can get the dongle set up and ready to go in less than five minutes. You can’t beat that. Fast platform. The platform is super fast and we have rarely been disappointed. It’s responsive and allows you to get to the content you want without needless hoops to jump through. A huge amount of content available. Whether or not you are an Amazon Prime member, there is a lot of content available on the Fire TV Stick. If you do have Prime, then you’ll be even more impressed with the available content as it competes quite well with Netflix in my opinion. Many have asked about receiving local channels since cutting the cord. We use the Mohu Leaf 50 to get local channels and it works great. Since we canceled DirecTV, getting content has been important. The Fire Stick won’t let you down in that department. Again, it is important to know that the Amazon Fire TV Stick will not replace all of your channels, it gives access to the previously mentioned channels and apps – you may need other resources to get all the channels you want. It’s also important to point out that in some cases the chosen channel or app will ask for the login information for your cable provider. I have found that the login details for your Internet provider will work at times, but it’s completely dependent on the channel/app and your provider. Simple to use remote. The remote, while on the smallish side, is simple and easy to use. It’s easy to move around the on screen platform through the remote and when you need to type things in it’s very responsive. We’ve not used the voice remote, but have read that it works just as well for those who want Alexa integration. Great wireless coverage. Our router is at the other end of the house, on a different floor, and picks it up at full strength. X-Ray Feature. Do you watch a show or movie and wonder where you’ve seen an actor or actress before? The X-Ray feature allows you to identify favorite actors or songs in shows and find them in other shows or movies. Excellent storage capacity. The Fire TV Stick offers 8 GB of internal storage vs. 2 GB from the Chromecast. One click ordering. You may like one-click ordering, though we prefer not to have it in our house thanks to having young kids. You can disable that through setting the Parental Controls, so it’s not that much of a hassle. 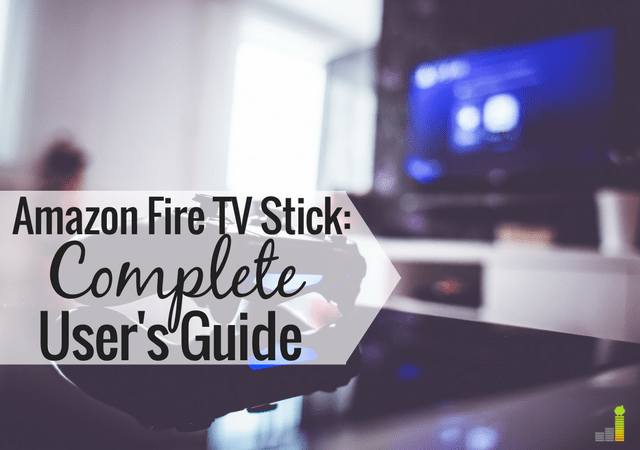 I’ve been asked a lot of questions over the years about the Amazon Fire TV Stick. I’ve put some of the more common questions below, along with answers. What is a Fire Stick? The Amazon Fire Stick is a plug and play dongle device that lets you to stream shows on your TV. The Firestick is available for a one-time cost from Amazon. What Internet speed do I need to use the Fire TV Stick? Per Amazon, you need a speed of at least 3 Megabits per second to use the Fire Stick for SD content. If you want HD content, then you need at least 5 Mbps. Do I need a Fire Stick to access streaming platforms? That depends on your TV. Some smart televisions let you access Sling TV, Hulu, and more directly from their platform. Others require a dongle like the Fire Stick. Check with the manufacturer of your TV to see what’s needed. Do I need multiple Fire TV Sticks? That depends on the needs of your family. It is plug and play so you can technically get by with one. We have two, one for each TV we own. Plus, this lets us take one with us with when we travel. Does the Fire TV Stick offer closed captions? Yes, the Fire Stick provides closed captioning. Can I watch YouTube on Amazon Fire Stick? Google and Amazon had a spat in late 2017, and Google threatened to remove YouTube viewing capabilities. Thankfully, the spat was short-lived. This downloads the Firefox browser, which allows you to watch YouTube all you wish. How many devices can I stream on Amazon simultaneously? You can have as many Fire TV Sticks as you wish, but Amazon only allows you to stream content simultaneously on two devices. Can I watch all cable channels, or pay-per-view events on the Fire Stick? The short answer is no. There are services available that let you jailbreak a Fire TV Stick and get unlimited content. Many will argue that is stealing content, and it’s not something we’ve attempted to do personally. Can I access everything on the Amazon Fire Stick channels list? Yes, each dongle comes with access to all of the same Fire TV Stick channels. a handful may be pay options (like HBO Now), but many of the others are free to use. Do you have to pay a monthly fee for Amazon Fire TV Stick? No, you don’t. It’s just the one-time charge to buy the dongle and nothing else. Can you watch normal TV on the Amazon Fire Stick? Yes, you can watch normal TV with the Fire Stick. You can either access channels through a variety of streaming providers, or watch content directly from one of the loaded apps. Can you get local channels with an Amazon Fire Stick? No, unfortunately you’re unable to access local channels with the Fire TV Stick. Like mentioned earlier, the Mohu Leaf is what we use to access local channels. Here’s a list of the best digital antennas on Amazon – all let you access local channels. Can you buy the Fire TV Stick at Walmart? Unfortunately, you can’t buy the Fire Stick at Walmart. They do Roku devices, but not the Amazon Fire Stick. What are the best Fire Stick apps for shows and movies? You can customize your Fire Stick by adding apps to watch content. You don’t truly need many of them as the dongle is already robust. There are many available Fire Stick apps for shows and movies, just make sure not to stream copyrighted content as it could cause you legal problems. Can you record shows with the Fire Stick? No, the Fire Stick does not have a DVR to record content. To record shows, you will need the Fire TV Recast and that works with the Fire TV or Echo Show to record shows. Keep in mind, this only records over-the-air shows from major networks, and not shows on a streaming provider. We’ve used the Amazon Fire TV Stick for three years and really enjoy it. We use it all the time at home, and travel with it when we know we’ll have access to a TV. There is a ton of content available through the device and some of it isn’t free – like Netflix, if you already subscribe to one of those services you’ll find the Fire TV Stick seamlessly integrates with your TV watching habits. We love that we can travel with it and use it on any TV we like. We use the Khanka Travel Case to keep the dongle, remote, and adapter safe and in one place when we travel. There are plenty of other cord cutting options, like the Roku streaming stick and Hulu Live, that can save you significant money each month. If you’re an Amazon Prime member, the Fire Stick can maximize the value you receive from the membership. Amazon has a library thousands of titles large and growing daily. The other feature I really like is that you can use the dongle on any TV in your house. So, if you have multiple TVs you can simply pull it from one and plug it in another without a problem – as well as a new feature that allows you to take it with you when you travel. The Fire TV Stick won’t replace all the shows you watch, but with the wealth of content they do have, it goes a long way towards getting you there while allowing you to cut the cord on cable. If you’re currently paying $110+ per month for cable, the dongle and many other services can help you save tons of money without giving up what you want to watch. Do you still have cable? What cord cutting options have you tried and come to like? How much do you spend for your cable or other cord cutting options per month? New Pro: I like that the latest update allows an easier time connecting to hotel WiFi platforms that require you to go to a special web page. This makes them great for when you go on vacation! Good to know Bryan. We’ve not had much issue with sluggishness, but interesting to know the set top box is a bit faster. I know, I really like they added that as well. We don’t watch much TV on vacation – but a great option to have. Hi. It says it supports YouTube but does it supports YouTube TV, two different apps. And if it doesn’t does it allow you to put apps on it that you want? Good question. I’m not certain to be honest. Since Youtube TV is its own streaming service I’d imagine not but I’ve not tried it. If I have a smart tv that lists all the extra apps, Netflix, hulu, live TV, etc…what is the purpose of the fire stick at that point? wouldn’t I just need to have an account setup for Netflix, Hulu, etc? In that case it’s just the app the particular TV manufacturer has made for them. You have no portability with it, not to mention you may not like the interface of the given app – with the Fire Stick you’re accessing the direct platform plus portability. Can you get the BYU channel? The Fire TV Stick does not offer the BYU channel. Looking at the streaming providers, it seems as if it’s only available on major cable providers. I watch “YouTube” on my Fire Stick almost daily. You just have to search the subjects like on the computer (music, diy’s, or watching some fool fall thru the ice). If it’s on “YouTube” you can see it on the Fire Stick. I’ve had AppleTV for quite some time now which I enjoy. If I didn’t this definitely seems like great replacement, for a cheap price. Who needs cable anymore anyways? I’ve heard relatively good things about the Apple TV. I believe they just added the HBO app, which is great to see. No CNN…No CNBC…No MSNBC…no Turner Classic moves and much more is NOT included. update….8.15.2017…was working fine last night, then I thought I would connect it to the HD tv in the Kitchen……will no longer give me a start screen…reboots over and over and over …this product lasts about six months…then you throw it out. Sorry to hear that Phil. We’ve had our Fire Stick for going on two years now and have never had an issue with them. Hopefully it was just a bad unit. My husband made a mistake when he bought the firestick – he bought 3 – now we have them hooked up to 3 TV’s and are allowed to access everything with Amazon Prime using the same email and password – we have had this set up for about 4 yrs – no problem with the firesticks but occasionally with our internet that we get through Spectrum…. hardly ever watch anything else even though we still have cable…. Hmm, I’d think that is an issue with the ISP and not the Fire Stick. We have two Fire Sticks and haven’t had issues with our Internet – only when we’re trying to view content from too many devices and then Amazon will boot us. Mine just quit working AFTER two years. Seems impossible to replace it without Alexa. Do you know if Alexa can be disabled on the new fire sticks? Don’t want her in my house! That’s a good question Mimi, I’m not certain unfortunately. You don’t need to have Alexa for the Fire TV Stick to work so you might just be fine ordering another one. To use the voice remote you have to press a microphone button on the remote – so it’s not listening the whole time like Alexa. This works great with all of our HDTVs and our Smart TVs. You must have gotten a bad unit. I am sorry to hear that you had such a problem with yours. That can happen if you plug it into a hot port.Just like the old video game cartridges. HDMI ports have power on them and you can blow the stick, tv port or both plugging things into them with the tv power on. You may get away with it a few times but eventually something will fry. Is it possible to get UFC fights? Unfortunately not Phyllis. The Fire Stick does not give you access to PPV events. Now that ufc is partnered with ESPN, yes!!! You can get ufc fights. i don’t usually leave comments but I will say a friend brought her fire stick to work and we watched a UFC fight on her stick! This was Oct 6th 2018! That’s likely because they have what’s called a jailbroken Fire TV Stick. Typically that lets you steal content, unfortunately. Oh no, I need by TCM and NatGeo…. this is definitely something to consider if I can live without. We’ve had ours for several years and never had a problem – and we use ours all the time. I think in many cases you should be just fine. I am a “roommate” now and don’t want to add a cable box bill to my utilities and have been researching the fire stick purchase, however, I cannot be without CNN and MSNBC. As Phil stated. In researching You Tube TV and/or Sling TV they both add a $40/month cost so what’s the point of the fire stick then? The Fire Stick gets you access to a variety of apps. It’s also portable so if you travel you can take it with you to access a variety of apps, Netflix, etc. You might also want to look at DirecTV Now or Hulu Live for those channels. I Want to watch YTUBE & CNN. Does ANY streaming service provide these two channels or will I be forced to attach the cord again? I like the portability aspect. Not that we go on trips to watch TV, but it is sometimes nice to watch a movie in a hotel room without paying $17.99 though the hotel medium. Vacations are often the only time I get to watch an entire movie in one setting! I like portability aspect as well. We really don’t see many movies, but like to on vacation so that’s a nice feature to have. Right now I have a “smart” Blu-ray player in my living room and one in my bedroom too that I use to stream Netflix on those two TVs and that is what I mainly use. Unfortunately, I can’t use them to access Hulu, which I also subscribe to. I like that this option is able to be used with lots of different streaming options. That’s great! I usually have to use my laptop to watch the shows I want on Hulu. Sounds like you have a good setup going on for you Kayla! Unfortunately, neither will work to get either of those channels. You’d want to take a look at either DirecTV Now or Sling TV to get those channels to cut the cord and save money. I saw on the chart you provided above that Sling TV was included in the Fire Stick, could I access TCM through Sling once we have the Fire Stick, and if so would we have to pay anything additional like the Amazon Prime? If it’s a channel offered by Sling then, yes, you would be able to access it and no Amazon Prime would be required. What is Set TV, because I too, like you are tired of paying Spectrum high prices. I’m thinking about getting a Fire Stick. I’m really confused on how it works, what all do you get, what is Jail Break, what all is needed, does it work on all TV’s, cost. The list goes on. I need HELP!!! Is there a number I can call, to talk to someone all these questions am having. I have Spectrum now, but it has gotten so expensive I can’t afford it any longer. It jumped from 120.00 to 180.00 dollars. That is outrageous. Head spinning trying to figure out want to do. Hi Susan, sorry for the confusion – it’s really not that difficult, nor do you do need to be very technically inclined to use the Fire Stick or most other streaming options. The Jail Broken version essentially means you’re stealing content, which is why I don’t really speak about it here in the post. That said, sorry to hear your cable bill has gone up so much. You can check out this post as I explain in-depth what to do to cut the cord and give some of the top streaming options available. We don’t have cable, and found that a less than $5 HDMI cable connecting our laptop to the computer does the job of a fire stick. It is slightly less convenient because it is a cord, but can be left plugged into the TV like the fire stick. We’ve done that as well Kalie, especially for shows we miss for some reason and want to watch straight from the given channel’s website. The only problem we’re finding is some are starting to not allow it for free. I have no problem cutting the cord to cable tv however I also get my internet access through my cable company Time Warner package “deal”. My problem is maintaining good internet access after the cord is cut. Internet is my go for everything for selling stuff on Craig’s List and how too video’s to learn new thing’s for making extra cash. I have learned so much on the internet. I refuse to use Verizon as my ISP but need access somehow. Anyone have any ideas about that? Great question Donna! You’d want to talk with Time Warner to see how that would impact your pricing for internet service. They’re not dependent on each other, you can have service without the cable, though it’s likely it’ll jack up what you’re paying for the internet service. It’s worth a call at the very least. Just cancelled cable package with TWC. Extreme Internet (50Mps) standalone is around $84 per month. Expensive but far cheaper than the $223 a month I was paying for package that I rarely watched. I own 3 Fire Sticks that are sync’d to one fully loaded prime account. The connection to my Kindle is also a plus. Love it! Yes, I just checked. If you get a firestick be sure you get the Alexa voice activated. Check into Kodi and do a free download. It’s awesome ? Right now we just to free TV …you know…digital….with the fire stick do you pay for all the things like HBO? Good question Suzanna. For something like HBO, yes you’d have to pay. They run a subscription based service so you’d find that with any cord-cutting option. A few of the channels/apps are free, then the rest depend on if your ISP allows access or possibly a subscription based service like HBO Now. I absolutely hate it.I cant get any live local channels or live espn. It doesn’t represent itself as offering that Jason. That being said, it’s very simple to get live locals and there are many other options to get ESPN. How do you get live local channels? Can you also get access to college football games? I desperately want to cut the cord, but the hubby will never go for it if he can’t watch his College & NFL football. It’s relatively easy to get locals, you just need an antenna – I list the one we use in the post and is super simple to set up. For college & NFL games, check out this post on how to watch NFL games without cable. Suzanna, where on earth and from who can you get wifi for less than $30 pray tell? Thank you. We too have wifi from Charter/Spectrum for $30 month. In Fort Worth Tx. I have 6 cable boxes from cablevision in my office for each room. I have triple play which gives me internet, phone and TV. Can the fire stick in each room replace my cable boxes or give me negotiation options with cablevision? I have quite a few in my house as well. Good question Jim. Not knowing what all you use your cable to watch, I don’t know if it’d replace it per se. Personally speaking, we use the Fire Stick to access a fair number of things. They have apps available to download (many are free) that allows you to watch different shows plus access to the channels I listed above. We get many (which isn’t that much) of the network shows from the Internet and have HBO Now through the Fire Stick. The only thing we’ve not fully replaced is sports. The nice thing about the Fire Stick is it’s portable so you can move it from TV to TV. Hope that helps! My contract with Direct TV is about to expire. Just to get the bare bones is $66 a month. I keep it only to watch HGTV and Univision. Would I be able to watch them with firestick? Also, miss not having TLC and Bravo. Just can’t do the expense right now. I’d check into Sling TV or DirecTV Now (you won’t be able to get them all on the Fire Stick) as both should be able to get you at least the first two channels, if not all 4. They’re $25 & $35/month, respectively, and neither require a contract. That $66/month will go up before you know it and there’s no sense to pay that much if it’s just for bare bones. Have you looked at SlingTV? Their basic package is really good. Right now I am under contract without dish. My base package is $34.99 and I add regional sports for $10/month. The monthly lease fees on the dvr and second receiver are what I don’t like! $22/month! What about ABC, CBS, NBC, FOX, FX, USE, ION WTVZ, ANC, SPIKE TV, TNT, HISTORY CHAN, ANIMAL CHAN, and HGTV. These are the main channels we watch. Our Smart TV have Netflix. Will I be able to view any of these. I now have cox for internet and cable. What about ABC, CBS, NBC, FOX, FX, USE, ION WTVZ, ANC, SPIKE TV, TNT, HISTORY CHAN, ANIMAL CHAN, and HGTV. These are the main channels we watch. Our Smart TV have Netflix. Will I be able to view any of these. You’ll need a satellite to get the locals David. For those other channels, you’d want to look at something like Sling TV or DirecTV Now. I’m not certain if they carry them all, but should get you many of them. I’ve put links to my reviews of them below. How and where do you install an antenna? Do you have this explained in some detail in a separate post? Will the experience vary depending on where you live (we live in The Woodlands, a suburb of Houston TX) and finally, is it even legal? It seems too good to be true that you can by pass paying cable bills to watch all these channels using a one time payment for an antenna? Or am I missing something? Thanks in advance. That’s a good question Thomas – I don’t, unfortunately, as it can vary on the type of antenna you use. I can say the one we use, the Mohu Leaf, that it took us MAYBE five minutes to set it up and I’m not technically inclined at all. I have chrome cast but cannot use my iphone as a remote. have to use my son’s android phone as a remote. so I’m switching to fire stick today. I was told I can get all local channels by subscribing through Hulu. Is that correct? If so, then I’m much better off than what I’m paying for Comcast cable. Is there ANYTHING I’m getting with cable that I cannot get with fire stick? Yes, you can get shows from local networks on Hulu – but it’s important to not that they are delayed a day and not all shows may be on Hulu. You’d need an antenna to get access to all local channels. The Fire Stick will not replace all shows you get from cable, you’d want a streaming option like DirecTV Now or Sling TV to get most cable channels. We are out in a rural area and use a Clearstream digital antenna. It works really well. We have a 50 mile range antenna, picks up every local channel in KCMO. For the first couple of months we had it, it was hanging on the front porch post because it was winter! Also, you can use the existing satellite/cable coax to hook up the antenna. I am really interested in the first stick? HOw do We watch local channels and ones like 106 of we go basic on dish tv? Thank you for this info John! I have been way overspending and trying to figure out the best of the best and keeping just those. I currently pay for the full suite of channels with xfinity (my husband LOVES history channels), netflix, amazon prime, spotify, and sirius. I have been trying to figure out how to get this way down.. what are your top choices? I am thinking about keeping Netflix, getting an Amazon Fire stick and spotify for music…thoughts? Unfortunately not Johnny, the Fire Stick does not allow you to order PPV fights. We pay more for our cable than we do our electric bill, we’ve even got rid of everything except basic cable, plus we have netflix, but my hubby likes to watch the morning news wjz channel 13 news with Marty Bass. Omg and he loves big bang theory . We also love oour adult swim on carttoon network. Would we need anything special for those channels? Yes, for any cable channels you’d want a streaming service like DirecTV Now or Hulu Live. For locals, you’ll need a digital antenna – check out this post for what you’ll need to do for that. We got the Amazon Fire TV today and set up as easy. Downloaded Kodi and have access to all our regular channels and will be calling Xfinity tomorrow! John, how does it work with the HDMI cable? Is there some sort of adapter to the USB end of the Fire Stick? Good question Chris. The stick has a HDMI connector on it that goes directly into your TV’s HDMI port so no adapter is needed. What about a tv that does not have HDMI. Is there an adaptor available? Good question BL, I had to look that up. It looks like if you search for “HDMI to Composite AV Converter for Amazon Fire Streaming Stick” on Amazon that should get you what you need. I am buying the fire stick and cutting the cord on Dish. Your answers have given me all the info I need. Congrats on cutting the cord Rhonda, you’ll love the savings! I’m not very familiar with the options on those channels. I’d check to see what content they offer on their websites as well as on YouTube. You may be able to get a fair bit of the content that way. Hi John, if I buy a firestick for each TV. Can they be used at the same time?? Great question Andrea! Amazon allows you to stream from your account from two separate spots at once. So, in theory, you are able to. The only thing to be mindful of is if your Internet connection is fast enough to allow for both without any lagging. What about ESPN and the Golf channel, will I be able to access either? You can’t access either with the Fire Stick unfortunately Steve. You can access both with Sling, but the Golf Channel is a $10 add-on. OK so , if I get the firestick and add hulu plus (if that’s how it works) would I get football and mostly my normal stuff ( big bang theory , 2 broke girls ) stuff like that , or would I need an antenna?? Don’t want to sound ignorant but really I have no clue. And what about my children’s tv in their rooms, they watch TV. I believe that would take care of most of it. I’m not that familiar with Hulu, but I believe they carry most network shows. For stuff like football, on local channels, you’d need an antenna. For antennas/fire stick they only work on one tv so you’d need multiples in your case. Have you tried a Sling subscription? I think I’m going to go with the fire stick + very basic sling. That way hubby has his sports and considering I already have Prime (for many other reasons), I’ll still save a bunch over my $120/mo cable bill. Thanks for your review. Sadly, Sling leaves a lot to be desired. We tried it about 6-8 months ago and just got a 7 day free trial again this week and it doesn’t seem that they’ve cleared up their issues. It has significant buffering issues and can lag quite a bit. I’ve read that’s a known issue, but hopefully you won’t run into that. I am thinking about buying a Fire Stick, and downgrading to basic cable so we can still watch local news and live TV. My husband has heard from friends that the cable service can scramble your service and it can take up to a week to get it straightened out. I find that hard to believe, have you heard any stories like that? If you purchase a HDTV antenna you can get local channels and that would include news. I just bought my first and its the leaf. Cancelling my cable as we speak. How about amc? Can I watch amc with firestick? Me and my husband finally cut ties with DirecTV and I must say it’s a weight lifted. I was considering getting the fire stick or a roku device specifically for being able to access PBS kids video for the little one. Does the fire stick allow you to watch content on PBS kids without signing in with a cable TV provider? That’s awesome y’all cut the cord Alicia! Yep, you should be able to watch PBS Kids without a problem on the Fire Stick. I don’t know about Roku, but you’re good to go with the Fire Stick. Can you run two firesticks on two different televisions in two separate rooms on one amazon prime account? One room for the kids and another for adults? If not, this would be a deal breaker for me. Great question Jon! We just discovered last week actually that when we tried to access YouTube via the Fire Stick on 2 separate TVs, at the same time, on the one account that one got booted. I don’t know if that means that you can’t have 2 accessing Amazon content, or something like Netflix, through the Fire Stick at the same time but it did pose a problem with YouTube. It costs $99 for Prime, per year. No, you don’t need Prime to use the Fire Stick. You can still access things like Netflix, Hulu & Amazon videos without Prime. How do you access sports channels on the fire stick? I am thinking about cutting the cord with Dish for sure, but my husband loves his sports; ESPN and the games. Yes, you’re able to watch shows live through the Fire Stick. How do I record a movie or say a soap opera with the fire stick? The Fire Stick does not offer a DVR feature unfortunately. Assuming it’s on one of the networks, you’d need a satellite to get the local channel and a DVR to record it. Hulu may also be an option as they carry most of the networks. How can you get into the apps like hallmark channel without a cable provider? I have an antenna and the fire stick & would love to watch “watch ESPN” and “hallmark movie channel” but it asks for a cable provider and I don’t have one. Any suggestions? Unfortunately many of those do require a cable subscription – which basically defeats the point of the app. 🙁 I have heard that, in some cases, you can get past it with the log in info for your internet service provider – it’s worth a try. I’d love to try the Fire Stick. Can I get Investigation Discovery TV and True TV? Is there a total listing somewhere of what you can get as far as stations go? Those channels aren’t available on the Fire Stick unfortunately Kathy. The channel list above covers the large majority of channels they offer. That’s actually not the case Jean. We’ve had the Fire Stick for over a year, without cable, and save nearly $90 per month. The point of the Fire Stick is it allows you to access a ton of content. We get most of our content this way. When you add in a antenna to get local channels you can get most everything. And you can’t even get your regular TV stations or record without a DVR I know her record. I think I might have to stay with my television unfortunately ????? If you look at basically every option out there, that’s going to be the case with all of them. We may see something offer those things, but it’s not here yet. What about recording episodes when your away ? I love my DVR . And what about Bravo…E and local channels ? No service like this offers a DVR unfortunately – same with local channels. You’d need an antenna for local channels. I recently moved to Ridgefield, CT, my only cable provider is Comcast and they do not carry the YES NETWORK, also I am not allowed a satellite dish. What would be the best way for me to obtain the YES NETWORK before the 2017 Yankees season begins? Sorry to hear that Karl. Unfortunately, I don’t know the best way to get the YES Network – I’ve never had a service that offers it. i’m worried about the firestick being illegal, is this a valid concern? Nope, not illegal at all. It’s all content that creators have licensed to be made available on Amazon so they’re being paid and very legal. what if it’s something called “jailbreak” or “rooted” ? I’m not tech savvy but if it’s “jailbroken” and i watch a movie currently in the theatre , then that must be illegal, right? Good question, but that’s something completely different. If you’re using the Fire Stick for the intended purposes and not trying to steal anything then you’re just fine. 🙂 They even say that on their site, so you have nothing to worry about. John, I definitely need to cut the cord (cable). I have 2 fire sticks (1 for each TV). An older one that the remote froze on and a new one with Alexia. I spoke to Amazon about the remote but they couldn’t unfreeze it. So I bought a new one. Then I found out about the remote app which is free and works very well. Anyway we now have Time Warner with wifi, HBO and SHOW at $187 a month. We also have Netflix at $9.95 a month. If I cancel TWC, do I need wifi to connect with the fire stick? We also use the record feature on the TWC box extensively. What do you recommend? Thanks in advance, Jack. Can you watch things like vh1 oxygen and kid shows on the fire sticks? I’ve read that it’s possible though I’ve not tried it myself. If you turn your phone into a Hotspot, which is located in your phone settings, then you will be able to use your phone like wifi. Have to keep my College football and Bowl games but I really want to cut cable! I wish Amazon would step up with sports. I am a Prime member but need internet to purchase items, as I do a lot on Amazon. That would be a great addition in my opinion. I don’t see it happening any time soon unfortunately. I am setting up my 2 Smart TV’s, with the Mohu Leaf 50 antenna. I also have the Amazon Prime membership and i recently got Directv Now with the Apple TV. But i want to change and use the Amazon Fire TV box because it allows me acess to over 7,000 apps. to download. And also sideload apps onto the box to use for tv streaming. I am paying $50 for Fios internet 50/50. And for the Directv Now $35 monthly trial. I am waiting it out with Directv Now to fix their bugs and add missing local sports channels like MSG and SNY. Also CBS Network. John, am i on the right track to lowering my cable bill and maybe cutting it altogether. Sounds like you’re off to a great start – just make sure you don’t give up savings to buying lower priced products that add up to the same initial cost. Thank you so much for the info regarding cutting the cord…we have been considering making a change for quite some time, but have had no idea where to start! So….we like to watch network TV, HGTV, History Channel, Fox and CNN. It sounds like we would just need a Fire stick and a digital antenna..? Is there a monthly cost for anything included with the Fire stick like Hulu, Netflicks, etc? Also, it sounds like this setup would include Wi-Fi. What is the monthly cost for that? We currently pay $200 per month for cable/internet! I apologize for all of the questions, but we are old and don’t currently use anything but traditional cable. Thanks again for the great info! You’d need something like Sling TV or DirecTV Now to access some of those channels. Yes, there is extra cost for Hulu/Netflix as those are separate services. No worries, there’s definitely opportunity for big savings. I have tv with a cable card option , which I am not useing. Can a card help in cutting cost? Really great information here! I am so wanting to dump DiSH – they are forever dropping content due to contract disputes, now CBS is out along with CW, I’ve ready DiSH has lost over 121 channels and is responsible for 1/3 of all contract disputes, I want to dump them and the bill. I am locked into a contract but I think since they no longer provide what I pay for I could get out on a breach of contract loophole – not sure. I am looking at Amazon, already a Prime member and use the Fire Stick think and also looking at Sling, which has nearly everything I want in programming. I have Netflix as well and can get local off a leaf antenna inside. I do rely heavily on the DVR feature from DiSH and will lose the access to my external hard drive of movies connected to the DVR, can’t figure out a way around their encryption. Are there monthly fees associated with the FireStick? The Sling package is $25, awesome value. Are there guides to browse on FireStick and Sling? Finally, is there a PVR solution to losing the DVR – does Tivo make something to integrate all these sources to mimic DVR capability? I’m getting nailed for $72/month on their skinny pack as I must have Fox news ($10) and I pay for the locals ($10) and the DVR. They are a shady bunch and cutting the cord is essential, but also maintaining the level of programming and functionality is also a matter of some concern. Any tips greatly appreciated to dump DiSH and keep content. I want to work with a budget of no more than $40 – $50/month – I’ll handle the one off equipment buys just fine. Thanks much – sorry for so many questions. Very curious about this product. Are there fees to theses apps? Like ESPN? Nope, no fees – aside from the $39 to buy the Fire Stick. Yes there are fees. The firestick itself is a one time purchase price. If you want to actually watch something you’ll have to pay monthly subscription fees. Channel pear is totally free but only allows 5 channels at a time unless you subscribe. Half of Channel pears stations never work. Only way to get anything free off the firestick is installing kodi. That’s actually not correct Custo, the Fire Stick does give you access to a handful of things for free. Beyond that, others are dependent on whether or not your ISP has an agreement with the particular provider – like Watch ESPN for example. Kodi, on the other hand, allows you to steal content which I would not recommend. does the firestick provide live streaming content or is everything pre recorded shows? Good question Tiffany. It’s largely stuff from apps from the respective providers – so not really like just turning on the TV and watch something live. That said, it can help get access to that through services like DirecTV Now or Sling TV. ok so question would you love live tv or pre recorded shows. It really doesn’t make much difference to us to be honest. We run our own business and have young kids so we rarely get to watch something as it’s live on TV. As long as we can get access to the few shows we do like that’s all that really matters. so how do someone contact you directly? I would like to discuss something with you. so basically with the firestick you have to opt into apps for live streaming correct which means you will be paying for those apps and it will eventually start adding up. No, not at all. Most of them are free. The Fire Stick just provides an outlet to get them all, whereas you’d have to go to them respectively. There are a few that do have a charge, like HBO or Showtime, but that’s the case regardless of how you get them. I have been working on the whole firestick thing for awhile. With 8 tv’s in the house, I’ve firesticked 7 of them & dropped $120 a month in fees. I have one cable box left, but would really like to “cut the cord” completely & go only to internet service. I already have hd antenna’s for local channels & hulu. Here’s my confusion. Some apps ask for your service provider & then you have to activate it with a code they give you. The provider they are asking for, is it cable or internet? If I cut cable, will these free apps still work? Example is TBS. One app did not list Comcast as an option, so I put A T & T, & it still worked, so making this more confusing. In most cases it’s the cable provider unfortunately. Some will allow you by with the log in info for your Internet provider, but most are the cable provider. It varies channel by channel unfortunately. I just set up my Amazon fire stick this evening and added all the tv networks I typically watch to the APPS page. My intent is get rid of cable eventually but what I’m already struggling with is how do know what to watch on any given evening. I’m so used to flipping through the cable providers TV guide to see what’s on that I’m afraid I’m not going to know what’s playing on any given evening. How do I overcome my usual channel guide surfing? I know the feeling, but it’s very freeing to be quite honest. It took some getting used to but I love not having to waste that time. We sit down and know what we want to watch, then turn it on so we save all that lost time. So I have a Roku tv which I guess is also called a smart tv. I haven’t cut the chord to cable because I want to get live tv. I’ve been looking at Sling for $25/mo. Is this Fire Stick something folks get when they don’t have a smart tv? Sorry, but even after reading all of these responses I’m still a little confused. At points it’s mentioned that the apps on the fire stick are free to use, but then it also says many require a cable login (making them not free). What percentage of the apps would you say are free to actually watch content on? If we truly cut the cord, will we not be able to watch ESPN, A&E, etc? No worries Krystal, that’s a fair question. It’s hard to say as it’s dependent on the ISP you have. Some have agreements with more channels, allowing you to log in with your ISP credentials – so it’s hard to give a clear percentage basis of what to expect as it can vary from location to location. I am guessing these cable companies are based in USA. I am in England using Sky cable. Is there any chance you may know if I can get Watch, Drama and Alibi on the Fire stick plus music video channels. Thanks for stopping by Heidi. Unfortunately, I don’t know what the situation would be to watch shows like that in the UK. I have read all the comments here but still don’t know what you can watch for free without subscribing to more apps that you have to pay for. I see your list but are most of those named just those we can access with fire stick…but have to pay to join them or use them? Do you have a list of what is 100% free to watch with fire stick?? I actually touched on that topic with Krystal above, just a few days ago. Unfortunately, it depends on the ISP you have so I really can’t say. Some of the channels require you to have cable and log in with your cable credentials. Some allow access with the login credentials from your ISP – thus allowing you access without needing to pay for cable. Ultimately, you’re not paying for something more (unless you have something like HBO) but getting access through something you’re already paying for – your Internet provider or a cable provider. We are on the verge of purchasing the fire stick to cut our cable off and your site was most helpful. My co worker purchased a “jailbroke” stick already loaded with several apps to watch local Chanels, sports and networks not available already on the stick. How do you feel about this type of purchase? I’ve read to steer away from these. Glad to be of help Randi, you’ll love the savings! Great question. I know those are available – it adds a software that allows you access to shows, movies, etc that you’d normally be required to pay for. I personally wouldn’t do it as it’s not worth the risk of getting caught and I wouldn’t feel right effectively stealing something that’d normally would cost me. We watch so little as it is that it’s not really worth it. I keep reading good things about Vue so we may have to check it out ourselves. Glad to be of help Bonny! Sounds like you’re going to have some good savings here soon. 🙂 I’d personally recommend moving up in speed as that’ll provide better streaming for you. And, yes, a second Fire Stick would be needed if you want to use it on your other TV. Technically, you can move it between the two, but might be more hassle than it’s worth for you. Hi John – I watch a lot of CNN. If I cut the cord and get the FireStick, will that station be available? THx! Any access to NBC, CBS or Fox networks? Sorry Gary, it doesn’t provide access to locals/networks. I provide some options within the post to make up for that. I don’t have a TV but I use my computer and a large monitor to stream Netflix etc. Does the fire Stick work in my computer? Good question Kelly. Per Amazon’s site, it likely won’t in most cases as the HDMI on most laptops is for output. I’ve admittedly not tried it, so not 100% certain. That being said, depending on what you want to watch it might be already available online on the site of the particular channel. Just installed a Jailbroken Fire TV stick last week. LOVE IT !!! Movies (even in the theaters .. although those most recent do not perform so well or not streamed) .. TV Shows (I always watch) .. ready to dump my FIOS TV and probably phone (which I have the Triple Play). Just went with Triple Play for the cost-savings of other features. Also have Netflix online, which I am thinking of dumping too. Again .. had this for less than a week .. just curious of the consequences in dumping everything in depending on the Firestick? Glad to hear about the savings Michael. The thing I’d be concerned about is getting a copyright infringement notice. I know Jailbroken Fire Sticks are popular, but from what I’ve read you can get yourself in trouble if you don’t set it up correctly. The other concern would be if Amazon has an outage – you’d likely be without anything for the duration. Just a guess, but thinking that might be a possible risk. Hi, this is Debbie I have a fire stick. If I get rid of my Comcast package deal. I will have no Internet, how will I run my TVs with the fire stick. All my coworkers keep telling me I need to keep at least the Internet service, is this true. Hi Debbie, yes you do need to have Internet to use the Fire Stick, or any other streaming service. You’d want to ask Comcast what’s needed to unbundle and only have Internet service. Hi we live in a very large farm mansion and have 4 TV’s in use almost all the time plus cell phones and tablets DirecTV is costing over 250 to 400 a month. If I get 4 fire TV sticks can we run all 4 TV’s at the same time. And will I have to buy a new router for my wifi? Plus how far is the range on the fire TV stick? My room is approximately 150 ft from my router. Not certain if you’ll need a new router or not, or the range unfortunately. One thing to keep in mind is that Amazon only allows two concurrent streaming sessions, so you won’t be able to watch something on all 4 TVs at the same time. Can I get pay per views on firestick? Like mma or boxing? No, the fire stick doesn’t allow you to get PPVs unfortunately. You’d need to go through the specific provider for that. I’m not certain I understand the question Harlan, but I believe you’re asking if you can use the Fire Stick in your Vizio. Assuming that is your question, yes you should be able to and access a fair bit of content. Thank you for all of this information. I will admit I am not the most techy person out there, but willing to learn. We have smart tv’s and can get local stations by changing the input. If I get rid of uverse , I know I will still need internet service for th firestick. Will those local stations be gone, too, or can I still access them without the antenna you talk about? Also, how do we know what ISP service we have and what we can access on firestick? Is the fire stick and fire tv the same thing? If not, which is better? And, is accessing the firestick like accessing on demand, so I really wouldn’t need a dvr, as I could access what i want anytime? Sorry for the questions, but trying to sort it out. Not a problem at all Renee and good questions. In all likelihood you will need an antenna to get locals, but most good ones are in the $30-50ish range. I wouldn’t know who you have for a ISP provider – but you would need to check with whomever it is to see if a login is required to get access to cable channels you get via streaming. You can access things at any time, for the most part, but it won’t entirely replace what you get through cable so you will want to keep that in mind. In terms of the differences between the Fire Stick & Fire TV, check out the below post as I cover that in detail. Hi, my name is Debra..my Internet connection is very slow would I be able to use the fire stick? Hi Debra, according to Amazon you’d need a speed of at least 1.5 Megabits/second, if not closer to 4 or 5 per second to get content via the Fire Stick. I bought the fire stick a month thinking it would work like a converter box along with the movie options. I haven’t even used it because you have to go throw so many step to do anything and then you have to pay for it. I am honestly frustrated with it. I am not a techy person, am I doing something wrong? Hi, John, I love the idea of having internet-only plus the fire stick. My question pertains to the amount of data that I would be using. My ISP allows 1TB/month, how much do you use on average per month? Good question Sunnie. You should come nowhere near that. We both work from home and are almost always on some sort of device. The closest we’ve ever come to in any given month was about 1/3 of that limit – we have the same limit as well. Hello, I am thinking about getting a a Fire Stick. Sports channels play a big part with my family. Do you know if we will have access to all sports everywhere? Mainly we watch Fox Sports Midwest and watch our local channels. Hi Jade, No you would not get that with the Fire Stick. You’d need a live streaming service like Sling TV or DirecTV Now to get sports channels. For locals you’d need a satellite. We want to cut the cord very much, we are paying 149 per month with Spectrum.We are still learning about the streaming alternatives. Fire stick sounds good along with Hulu and netflix. But here is my probably dumb question, if we purchase our own router (D-Link wireless AC1900) do we still need to subscribe to an internet service like Spectrum or Xfinity? Not a dumb question at all Preston, yes you will still need an Internet Service Provider – so you won’t get rid of all the cost, but at least half. Wanting to cut the cord and have read a lot of the comments. What is the advantage of having an amazon Firestick and Sling TV. Is the Firestick required in order to use Sling TV? We don’t need Roku or Netflix as we aren’t big movie watchers. We like our local channels, Sportsman, Outdoor, HGTV, Food Network, DIY, NatGeo. We plan on purchasing an antenna for our local channels. So, in your opinion, which is the best option for cutting the cord and the most economical? Good questions Dana. The Fire Stick gets you access to a lot of Amazon content, not to mention a fair number of apps. Sling TV is a streaming service for channels, basically a cable replacement. Remember though, that there is a lot of content on Roku and Netflix that aren’t movies but original content or broadcast episodes. Given what you listed as priority, I’d look at either Sling TV or DirecTV Now. So what is the cheapest way to get all the NFL season games and pre-season games? We have Amazon Prime and Netflix, no cable. We do have Performance Pro Internet (75Mbps/5Mbps) at $74.45/ mo. Need to make a change soon!! 5 people in our home constantly on internet with PS4, Netflix,YouTube, Facebook, email, etc. Also, does my internet need to be that fast? Good question Stacy – I actually have a post coming up on it in the next week or so. The cheapest would be either Sling TV or PlayStation Vue – to get access to everything, including RedZone. Also, remember, since you’re a Prime member, Amazon is streaming 10 Thursday night games this year on the Amazon app. I will be moving into a new development which does not currently have cable and will not have cable for a couple months. I have been wanting to go to the fire stick. This may be a good opportunity. I do have a question though I am an avid football watcher and I like to watch my RedZone and other games that are on during the week. Would this be an issue watching these games? I will be moving in during the beginning of the football season. The Fire Stick won’t get you RedZone unfortunately. However, if you have Amazon Prime, they’re streaming 10 Thursday night games this season on the Amazon app. That said, your best bet would be either Sling TV or PlayStation Vue to get access to the needed channels and RedZone. I know nothing, so you’ll know how dumb my questions are. Ok, here goes. If I buy the fire stick for $39.99 + tax, load kodi, what channels would I receive ? I mean, will I get stuff like bravo, lifetime, tlc, history, nat geo, a&e, etc ? Do I have to get Netflix, Hulu, Amazon Prime for the fire stick to get these channels I’m writing about. I do have old fashion rabbit ears on my tv now. No dumb questions. 🙂 That said, in all honesty, I don’t use kodi so I’m not certain what comes with that – sorry to not be of more help. This is just the type of analysis I was looking for. Thank you! Glad to hear it, happy to help! This is all new to me, and confusing. We currently have 4 TVs, 4 DVRs, CenturyLink Prism.. which we love, but rates keeping going up. Currently paying $165 month cable/Wi-Fi. I am looking at either Amazon Fire Stick or Roku, with 1 DVR (to tape live NASCAR Race). According to Best Buy, I will need an indoor antenna for each TV, and an outdoor antenna if we bring a set outside. Will we need anything else? Will we be able to have 3-4 TVs going simultaneously off of Wi-Fi? What would be best for NBCSports and FoxSports? With this many TVs, is it feasible and practical to “cut the cord”? Thanks for your advice, and for your review of the Fire Stick! Great info! Yes, you will need an antenna per TV to get local channels. Most of the good ones run anywhere from $20ish-$50ish. We use the Mohu Leaf and love it and super simple to set up. For what you’re wanting, I’d look at either Sling or DirecTV Now. Either will get you most, if not all, of the channels you want. Sling allows one streaming device at a time, or three devices for their higher tiers and DirecTV Now allows two regardless of service level. I will also point out that Sling TV has a cloud-based DVR offering in beta so you might qualify for that since you want to record. Thank you very much for all the valuable input on my situation and this blog. It is wonderful that you are taking the time to help so many others. Have a nice day! We are looking to cut the cord, and go to streaming. We watch all local channels, as well as lifetime, ESPN, HGTV, oxygen, TNT, TBS, etc. and we currently have a DVR on three TVs. There are many iptv services out there, and we want to explore options other than the ones mentioned here. What is the best way for us to be able to record our favorite shows on all of these channels on any of the 3 Tv’s? I’d look at either Sling TV or Hulu Live as both should allow you access to many of those channels and both offer access to a cloud-based DVR. I’ve read so many reviews on the Fire Stick and I STILL don’t understand what it gives you over what any Smart TV already has? Pretty much every app mentioned on the stick is already available via Samsung apps. What am I missing here? The first thing always mentioned is that it ”comes with Netflix”…but isn’t this still a separate paid subscription? It’s on every Smart TV I own already. I just don’t get it, but I might be missing something huge here and no know it. That’s a good question Carlos. Not everyone has Samsung, so they may have a TV that doesn’t offer all those apps. The big thing for me is the portability of the Fire Stick. If you travel at all and take your Fire Stick you can use it on most, if not all, TVs allowing you access to any apps you have installed on it. Additionally, it gives you access to anything on Amazon relatively simply. Thank you John…the portability actually does make sense to me, but Amazon is another one I always hear mentioned, and both my Samsung (various models), and LGs already come with. My TVs are not cutting edge but pretty much have access to everything I hear mentioned by the Fire Stick ..espn, hbo, showtime, netflix, amazon, etc. Not trying to malign it. I’d like to cut the comcast cord as well…just could not understand how the Fire Stick was helping in any way. It sounds like SLING could help, but I haven’t run those numbers, although eyeballing it..looks like it’s cheaper. The portability of the Stick i can understand. Thank you for taking the time. I am so confused when it comes to the fire stick.My cable bill is 150.00 monthly not including internet with Verizon and I am fed up.I recently visited a friends house who has the fire stick and she has all the local tv channels along with all of the basic cable channels and all the premium channels.That is what makes me want to get the fire stick if I can get the same features she has,but looking at the questions all of that is not offered.How is she receiving all of this and how can I get the same viewing channels as her? Hey Sandy, your friend has all those channels because they’ve likely downloaded software to it that allows them to effectively steal that content. If you want to get access to different channels and cut the cord, you’d want to look at DirecTV Now or Sling TV. Hello. John, my tv has only one hdmi port ones cart and one co ax port. Can I use to fire stick on hdmi and TiVo box on start? I’m unfortunately not certain about that John. I’ve never used a Tivo box, but you can use the Fire Stick on hdmi. Hi John, I have one major concern about the fire stick, I am deaf and rely on closed captioning. Does fire stick support CC? That’s a great question Steve. I looked into it and, per Amazon, it does support subtitles/CC. It looks like it’s a setting you can turn on or off relatively simply. I hear there is a new Fire Stick coming out this month. True? So…you buy the stick, are there channels free or do you subscribe to each one separately? You would be correct Robert. Amazon appears to have a new Fire TV Stick and Fire TV coming out. It depends on the channel/app. Some are free and some require cable or Internet logins. no PBS, Smithsonian, Nat Geo etc? PBS is considered a local so all you need is an antenna to get that. The others are cable, so you’d need a streaming provider to get those. Thanx for all your info. i too would like to cut the cord for my bundle services for 200 a month. Just so i dont mess up, is this correct. from my big “C” i only need them to provide internet. If i purchase a Fire Stick with voice for 39.99, i plug it into the back of the TV ports and wall outlet. If i would like to view ABC CBS FOX etc i would purchase a subscription from Hulu for 39.99 mo, i would also like movies from Netflix for another subscription of 9.99 mo, for my husband sports i think Sling for another 30.00 mo subscription. Am i missing anything? Of course, happy to help! Yes, that’s technically correct Elizabeth although Hulu will get you network content a day late. If you want live network, a digital antenna is your best bet. For getting access to sports channels, and other cable channels, yes you’d want to go with either Sling TV or DirecTV Now. Sorry to hear that James. I’m not certain how to help with that as I’ve never heard/seen that. Have you contacted Amazon by chance to see if they can provide any help or direction? Hey James. I realize this is December and I’m replying to an October post. If you haven’t figured it out yet, do a factory reset on your Firestick. You will lose anything you added and will most likely need to start from scratch the same as the day you first began using it. On the plus side, it should fix whatever is wrong and beats purchasing a new one. Great article and just in case I overlooked it I simply wanted to know how can you retrieve notification you already opened viewed? I opened the initial one which offers you some channel app selections but decided I wanted to come back to it later, so I backed out of it. Now when i try to go into notifications it doesn’t show it at all. Is there a way to recover it or did I lose out on the opportunity to add the channels? I’m not entirely certain I understand your question Peter. I do know that the Fire TV Stick does list your most recently used apps when you launch it. We typically just go from there to get into whatever program it is we want to watch. I see you can get CBS and NBC, but where is the FREE ABC app? ABC is a bit pickier – only allowing online in certain markets. They tend to push viewers to Hulu to get shows. What are your thoughts on HULU Live? From what I can tell, you should be able to watch LiveTV, including local and sports channels available in your area through the firestick with this service, no antenna required. Also record to cloud space. Anything you are aware of that I’m missing? I’m interested in buying the Fire Stick, would like to know if there are apps for classic/obscure movies and TV shows as well as ’60s/’70s/’80s music performance clips? That’s a great question Jesse. Unfortunately, I’m not sure on that. I’ve never looked for something like that myself personally. Sorry to not be of more help. Everything you’ve written makes the Firestick look very appealing. I have just one (perhaps dumbass) question: Do the services available via a Firestick provide Closed Captions, and will I be able to get and display Closed Captions on my TV using the Firestick? Not a dumb question at all Keith. 🙂 Yes, Amazon says they do allow for CC display on shows. WHAT is the minimum required speed for Fire Stick? Also, is Fox News available on Fire Stick? The minimum speed to get HD streaming with the Fire Stick is 5 Mbps. It’s 3 Mbps if it’s going to be SD streaming. No, it does not carry Fox News. You’d want something like DirecTV Now for that. Do I need cable television or internet with Fire Stick? No you don’t need cable, but you will need internet access to use a Fire Stick. Our current 8-9 year old TV (not “smart” or wifi enabled) is beginning to act up so we will probably be shopping for a new one soon. If the new TV is a smart TV with wifi do you still need a Fire Stick or similar device to do what you are doing? One more question, please. My current TV does not have native wi-fi but it is capable of connecting to wi-fi with the use of a wireless LAN adapter. Does the Fire TV or the Fire TV stick require native, built-in wi-fi capability or would they work using an add-on dongle like that? If they would work, would the Fire still plug into an HDMI port or would it need to plug into the LAN adapter? Thanks for putting up with a no-nothing. Addendum: I cannot find an online manual and asking questions on Amazon is useless. Every answer to my question consists of “you need wi-fi and it plugs into the HDMI slot”. No one picks up on the LAN adapter part of my question. Trying to find a way to ask the mfg. (Amazon, I presume) is futile – – I can find no way to contact them about a particular product. Good afternoon! is there any app that i can watch live tv on the amazon fire stick tv. besides direct tv now or sling? withouth a tv provider just an internet provider? Good question Taylor. Not that I know of unfortunately. What about Pure Flix? Does it work with that? Not to my knowledge unfortunately. I have just purchased two fire sticks for my home that has 3 tv’s and I’m wondering if I really need two. I know nothing about these sticks so your posts are so helpful. Is there much involved to switching the stick to different tv’s? Do the apps you have downloaded show up automatically on each tv once you have them on the fire stick? If I brought my fire stick to a place (such as a hotel) with a different internet provider do I just need to log on to their wifi and the stick works the same as it would at home? I just connected my fire stick and went thru the routine to set it up. Just scrolling thru the system, and am curious as to how I watch daily local news and live tv shows such as abc, nbc, cbs, etc ? The Fire Stick does not provide access to local channels, much like most other streaming options. You’ll need a digital antenna for locals. I’ve highlighted the one I use in the post and it works great for us and there are many other good ones out there to buy. This sounds more like an advertisement for Amazon than an objective review. Nowhere in the “blog” as far as I can tell do you mention that most of the TV services require additional charges for services. The Firestick is nothing more than an “antennae” for the TV. You talk about “list of the channels available” but gloss over the fact that they are only available with additional purchase. This is intentionally vague and misleading for anyone who is trying to learn how Firestick actually works. I suspect that the author was paid or trying to be paid for this “review”. Ha, I wish they paid me for this review! I understand your point Dave, but a lot of it depends on whether or not your Internet provider will allow you access to many of the channels. Some will and some won’t and there’s no way for me to tell what ones allow access as it depends on each specific provider. My wife and I have two, plus an Amazon Fire TV and love them so why would I choose to lie – even after listing the things about it I don’t like? on Jan one….youtube is not going to be available…most of the free apps on firestick are pure crap which leaves paying Amazon for movies..
Is YouTube the best thing about the FireStick? Is that the only thing disappearing from FireStick after January 1st? What other changes are coming up? I haven’t bought one yet, but I’m strongly considering it. It actually appears that Youtube will be staying on the Fire Stick after all. Amazon announced they’ll be selling the Chromecast, so it appears YoutTube will be staying put. Hi, I’m looking into this to purchase for my grandma, i have a few questions, and will admit i didn’t read through ALL of the comments above. We live in the country, and an antenna doesn’t exactly work for us, but we do have internet, am i correct in believing this will allow you to get TV channels via the Air (Given the signal might extend out towards us), or could we access them via the ISP? Also, as she loves the Hallmark channel, is there anyway for me to find out if upon purchase i would be able to get her that channel through the Fire Stick? Is there a way i can see the channels and features it offers before i make a purchase? Yes, it will get you access to some channels – they’re listed near the top of the post. It’s important to remember a few things – this won’t provide access to locals. Largely, only an antenna will provide that. Also, of the channels listed some are pay and others are free. Beyond the premiums, like HBO Now, it largely depends on the ISP if you can access them for free or not. Unfortunately, the Hallmark Channel is not included in that list of channels they provide. For something like that, and other similar cable channels, you’d want to look at something like DirecTV Now or Sling TV as significantly cheaper options vs. traditional cable. I really enjoy the NYC news and the TodayShow. Does NBC work on FIRESTICK? Unfortunately, you can’t get locals with the Fire TV Stick, or with many streaming options for that matter. To get locals you’ll need to get a digital antenna, which typically cost anywhere from $20-$50. Fire Tv Stick acutally seems pretty good. I’ve been doing alot of reseacrh trying to find the best one to go with and this might be it. Glad to hear it! We love both of ours and do exactly what we need. Yes, you do still need to pay for platforms that otherwise have a fee. You read correctly Nanci. 🙂 You can move the device to whatever TV you wish and get access to the same apps. We often travel with ours so we can get the content we like. We have Optimum as our TV/Internet provider. I noticed recently we can get a lot more from channels like ABC, NBC etc if you have a cable provider log in on the Fire stick. If we cancel our cable subscription and just keep internet do you know if the Optimum ID we have will still get us access to these channels and live TV options? I’m not certain of that, unfortunately, as it varies on the ISP and we don’t have Optimum in our area. We just purchased a fire stick and we are having difficulty getting the channels to work. We can access Amazon music and Amazon photos, but not Amazon videos. What are we doing wrong??? Thanks so much! You can either access it from the main screen it takes you to when you access the Fire Stick. It also has a search function once you launch. You can type what you’re looking for there and it brings up the associated Amazon video. Can I use my Optimum ID as an internet only customer to log into networks like ABC, NBC etc? I don’t have Optimum ID as a provider so I’m not certain on that. Sorry to not be of more help. Is the Amazon Prime the same prime that you pay for to have the next day shipping? You pay once a year about 115.00. Yes it is Vickie. It’s $99/year and they throw in the free two-day shipping for that cost…plus all its other benefits. Thanks for the helpful post. I am looking into getting the fire stick to solve my current tv situation. I like watching the Cleveland Indians and other MLB teams, so my family has an MLB TV membership. This works great for my parents who are out of state. However, since I’m in Ohio, I’m in the “blackout zone” and cannot watch the live games. Any suggestions? Could I watch the games through the fire stick? I was looking into Sling TV (blue package) as well. Not a problem Sarah, happy to help. You wouldn’t be able to watch games through the actual Fire Stick, unless you have a subscription to MLB TV Premium. You might be able to get them through Sling TV as they offer ESPN3 for more extensive viewing options. Fubo TV *might* be another option as they have a lot of different sports channels. Both platforms offer a free trial, so it doesn’t hurt to try them out for that trial period. Hi can you watch Eurosport via fire stick ? Not to my knowledge unfortunately. You might want to check out Fubo TV as they have a pretty extensive sports offering. If you install a fire stick and are an Amazon Prime member are all programs on the Amazon channels free? For example Britbox or Acorn? Good question Marty. I’ve not personally tried all of the channels so I can’t speak to all of them. With something like HBO Now, I know you’d still need to pay the subscription fee. What is a good internet package to have for smooth wathching?…25Mbbs, 45Mbps? Good question Katie. Not knowing everything you’d be using concurrently it’s tough to say exactly. Amazon does recommend a speed of at least 5 Mbps for HD video streaming. We have just over 40 Mbps and it never have an issue. Hey John, just wondering can you get the USA channel and TRU TV on fire stick??? Unfortunately not. You’d need a streaming platform like DirecTV Now or Sling TV to get access to both of those channels. 1. Do you have to have a subscription to Amazon prime to get all the different channels, movies, etc. to use the Fire Stick? 2. What internet speed would work well? Congrats on the retirement Vickie! No, you don’t NEED to have Prime but it does open up a lot more for you in terms of options – especially if you like the movie/show selection as a part of Prime. You’d want at least 5 Mbps to get HD streaming. Unfortunately not Melvin. You’ll need to do a few different things to get those. I’d check out this post for what’s needed. I have had Fire stick for a few weeks now and am learning a great deal. The remote for my TV no longer controls the volume and I can’t switch back to the TV. Any suggestions? Hmm, haven’t heard about that before. I don’t have any ideas, unfortunately, other than maybe reaching out to the manufacturer of the TV to see what help they might be able to provide. I hate to be dense but I guess I am! 3 TVs with cable boxes & a bunch of useless channels. Mom wants her Hallmark, Lifetime, HGTV channels which I see I can get with Sling. Boys mostly game but occasionally watch TV, mainly movies, too old for Disney, etc. I like local stations, some HGTV. So, if I get a Firestick for each TV and subscribe to Sling does it look like I can make everyone happy? Especially me that pays the bill!!! No, not at all. 🙂 For the most part, yes, that’d cover you. The thing to keep in mind is Sling only allows for you to stream on one device at a time. You can get three devices at a time, but that is on higher priced tiers. You may wan to consider DirecTV Now as they allow for two streaming devices at the same time on all tiers. Trying to get regular CBS shows. ABC, FOX, and NBC shows are available. IS there a way without having to pay for AllAccess to watch CBS Shows with my Firestick? To my knowledge there isn’t Stephanie. I do know that you can access some CBS shows from their website, 24 hours after airdate. We watch The Amazing Race that way (just connect our laptop to our TV) but not certain how many of their shows they offer this way. Ok…I am a total electronics idiot. After reading stuff on both here and Amazon I a still a bit confused. The Fire Stick will allow you to access the apps/channels listed at the beginning of the post. I will add that it won’t replace all the channels you get with cable . For that you’d want a streaming service like DirecTV Now or Sling TV. They’re both a fraction of the cost of standard cable, with no contract. Which of the apps you list as being available with the stick are actually free? With amazon subscript, I have the apps for cracle, hulu, hbo, showtime, iheart radio and a subscript is required to watch. Apologies, crackle is free. Appears to be a movie channel. Movies contain commercials. That’s hard to say Denise since the login component of a number of them are dependent on the particular ISP you use. As you said, some are paid but the others can be hard to say. My son and I don’t currently have cable or wifi. We’ve been watching dvd’s. I’m leaning towards the fire stick. How does it compare to fire tv? And what wifi service would you recommend? Thank you for all the information :). They’re basically the same Joie – they have a lot of the same capabilities though some differences – I highlight them in this post. In terms of WiFi service, it’s hard to say as many Internet Service Providers are regional so what may be good for me may not be in your area. Great article, however, there is one part that can be confusing to non-tech people like myself. You say “Here is a list of the channels available through the Fire TV Stick:” Question: Are those FREE with the stick, or do they require purchase (I know that some are paid, like Hulu, but what about the others? Good question John. I address that in the post, but yes, some are paid like Hulu or HBO Now. For many of the others it depends on your Internet Service Provider as to whether or not your login for them will get you free access to a fair bit of the others. If you’re looking for something to act as a close to full replacement of cable, you’d want to look at a streaming, no-contract service like DirecTV Now or Sling TV. I have Spectrum Cable, basic tv and internet. Can the Fire Stick be used to access the internet and then access a channel’s website to watch their content, i.e. tvland and Own? Channels I can watch on my computer, but would rather see on the bigger tv screen. I apologize, but I’m not certain of that. We don’t have Spectrum in our area and have no experience using their services. I have great internet, but I want to drop Direct TV, with Amazon fire stick is it possible to stream OAN? No, OAN is not an available channel on the Fire TV Stick. It looks like it’s available on DirecTV Now. You might also want to check out Sling TV as a possibility. I’m new to streaming and just discovered Fire Stick. I have an older Toshiba CRT TV and have been using an RCA antenna instead of cable. *Will Fire Stick work with my CRT TV & antenna? **Will changing ISP’s -after- installing Fire Stick be a problem, or should I wait to install Fire Stick after I have the new (Spectrum) Internet? (I’m not getting Spectrum cable). I want to get PBS ~ and a lot of the old TV programs (Murder She Wrote, Matlock, Diagnosis Murder, Bananza, etc.) ~ as well as other programs and some movies. ***The idea is no extra cost beyond the Fire Stick. *** Any input is much appreciated! That’s a great question Dee. You can use a Fire TV Stick on a CRT TV, but you will require a converter to do so. What you’ll need is a HDMI to composite converter, which you should be able to find on Amazon or somewhere like Best Buy. You will not be able to use the Fire Stick without this as it requires a HDMI or USB port to work. The Fire TV Stick will not allow you to get local channels like PBS, but you should be able to get that with an antenna. DirecTV Now and Sling TV are options to get movies and other content, but they’re streaming options so you’d need a newer TV for them. Also, what about a household with multiple TV’s, do we have to get a Fire Stick or the like for each one? Thank You for your time! Good question Malinda. I know you can with a Fire TV, but not certain on the Fire TV Stick, with the Tablo OTA DVR. You don’t necessarily have to. If you don’t mind moving the stick you can get by with just one. However, if you’d rather not or will have times where both TVs will be in use you’d want multiple Fire sticks. Will the fire stick work in Canada, other countries ??? Thats a great question Paul! Yes, the Amazon Fire TV Stick will work in Canada as well as some other countries – per the Amazon site. It looks like you need to go to “Manage your content and devices” then Settings, then Country Settings to find the available countries. They do say that available content will vary from country to country, but it can be used. Hi John, Thank you for the good information. I have a dumb question. If I buy fire stick, do I still need to have a subscription and a monthly bill to HBO if I want to watch my favs Bill Maher/John Oliver? Thank you. Not a dumb question at all. 🙂 Yes, with HBO being a paid service you’d still need to have it. It’s HBO Now, we have it ourselves, and runs about $15 per month after the free trial. If I have a PS4 wouldn’t That a long with YouTube TV work as well as a fire stick since I also have Amazon Prime? That’s a good question Denise. I’m not certain on the ability to watch Amazon Prime content on YouTube TV. YouTube TV does give access to live networks and some cable offerings, just not certain how it works with Amazon Prime. If I have 2 tvs do I need 2 dongles so my wife and I can watch at the same time? And if so do i need a seperate HBO, netflix, showtime etc. subscription for each? That’s a great question Joe. Yes, you would need two Fire Sticks to watch on two separate TVs at the same time. You should be fine with the one Netflix subscription. I believe you’ll be fine with just the one on others, but I’ve admittedly never tried to stream HBO Now on more than one device. WOW! First of all, this is possibly the greatest website I have ever seen. SO much great information and simple/clear answers for the questions so many of us have. We have been having this discussion in our home and the one question we have is about watching local tv. My daughter is kind of a sports junky and we love watching nfl football (Seahawks) on NBC and FOX. Is it possible to do so with the Fire Stick? Well thanks for the kind words Pieter. 🙂 The Amazon Fire TV Stick will not let you get local channels. It largely offers those apps and content mentioned at the beginning of the post. That said, getting locals is fairly simple. Here’s our guide on how to watch local TV without cable. Since you like the Seahawks, you might also want to check out this post on how to watch NFL games without cable. So, when will fire stick offer the spectrum tv app ? That’s a good question, I’m not certain unfortunately. You might want to reach out to Spectrum as they might know. What internet speed is recommended for optimal performance? The minimum internet speed for the Amazon Fire Stick is at least 3 Mbps SD streaming and 5 Mbps for HD. Is hallmark available thru fire tv? No, for most cable channels like that you’ll need a streaming service. DirecTV Now or Hulu Live are good ones to look at. No, for most cable channels like that you’ll need a streaming service. DirecTV Now or Hulu Live are good ones to take a look at. I’m trying to get DTV out of my life. I have a Vizio smart TV, but it came with a bunch of apps and has no ability to go to a web address independent of those apps/doesn’t support browsing. Will I need a different TV? All I want to know is if I’ll be able to get Fox News Channel & Fox Business Channel….What do ya say?. Nope, you’ll need either DirecTV Now or Hulu Live to get those channels. I am trying to use the Photos app, I have a Amazon Drive with a slideshow which I want to display on the TV but I can’t understand how to get the Fire Stick to pick up my drive. Any help appreciated! That’s not something I’ve tried to do Mike so I’m not any help unfortunately. Anyone else have any ideas? There are a lot of comments to go thru so I’ll probably ask you a repeated question….I still have to pay monthly to maintain my Netflix in order to watch it thru the stick correct? Yes, that’s correct Sue. You’ll still need to pay for Netflix with the Amazon Fire Stick. I live in an extremely remote location. Can’t even have a phone without satellite and NO cell service. A tv antenna of any sort, will get me exactly zilch. What can this fire stick do for me?? Good question Toni. If you have internet service and a Smart TV a Fire Stick will allow you to get access to those apps listed at the top of the article plus many others. It’s also portable so you can use it when you travel. i cut the cord 2 yrs. ago. I use Kodi, Stremio, and set tv, the only one that costs $20/mo. Set Tv gives access to ALL sports channels, as well as ANY channel you can name, LIVE. Also VOD and more. Stremio, I use to watch shows that were on the night before. It is very easy to navigate. Kodi was the first service I investigated, and I keep it updated. You canpull up ANY movie or TV show EVER made. I recommend NOT watching a new movie, as your ISP will get after you for copyright laws! 😉 I also use a cheap antenna for local channels (I get about 17) free, and wireless HDMI to transfer all my shows from laptop to TV. So, all together, I’m paying only $30/mo. to watch anything I want, whenever I want. All services I use, I have downloaded onto my laptop. No need for ANY “device” or paid service, except the $20 for SeTvnow.com, which I use during Football and basketball seasons! I have Fire Stick with my Amazon Prime membership. Want to get parents Fire Stick for their house. Can both house share the Prime and how do we get them connected on Prime. Also the Fire Stick can be used without Alexa? They do not want that. That’s a great question Christine. You can have multiple Fire TV Sticks on one account. The issue comes in with streaming video content at the same time. That depends on the channel/ app you’re watching. I have a small resort in the mountains and cable tv cant reach it. We can, however, get an lte signal. I’m planning on getting amazon fire tv for the rentable rooms do you think its legal? I’ve been trying to find any language in their terms and conditions that might correct me but i habent found any, unlike netflix that specifically says you cant use their app for public display. Please i need to know before i do any unecessary purchases. Thank you. That’s a great question Ian, I’m not certain unfortunately. I did some searching and wasn’t able to locate anything. I don’t think it’d be a problem since the Fire Stick is a portable device, but you never know. Hi John! Thank you so much for breaking this down so simply and easy to understand. I’m contemplating getting a firestick and an antenna to cut costs, what speed of Internet works the best? I don’t want to pay more for speed if I don’t nee it. Its just me and I usually have the TV on in the background as I’m working on my Mac. Thanks so much! Not a problem at all Niki. You need at least 3 Mbps for SD content and at least 5 Mbps for HD content with the Amazon Fire TV Stick. Hello we are wanting to get away from New Wave cable and find something that will fit our needs. We want to watch lots of Movies, even those that just been released; plus out local channels we like to watch…Now im told that the FIRE T.V. STICK will give us the movies we want to watch, but was also told to get the Mohu leaf 50 to get our local tv shows.–Now my question is Just how much will this fire stick cost and how much will the mohu leaf 50 cost? Please send me an answer back with details about all were looking for? All good questions Glen. The Fire TV Stick will get you access to a few channels and some apps but you’ll really want a streaming provider to replace most of what you’re looking for. This post should answer all of your questions. That said, the Fire TV Stick typically costs $40 and the Mohu depends on which one you buy but should be no more than $60-70. You’ll need a streaming service like Hulu with Live TV to watch games like that. I currently have frontier and they are ripping off each month with a bill that is NOT what I signed up for. My daughter bought me a fire stick, but I don’t know how to use it yet. The list they give is not at all what I want to see. Here are the ONLY networks I watch… FOX, OAN, A&E and HGTV. I want to be able to get those and fire stick does not have any of them but A&E. Also I want a land line and internet that I currently have. I don;t know what is best to do, but I am not going back to Spectrum as they do not carry OAN & I love it. I MUST have a landline, internet & those networks, so someone please tell me what I need to do. For those channels you’ll want a streaming service like Hulu with Live TV. Check out this post on what to do to get Internet and phone without cable. We have Amazon Prime and subscribe to Britbox and Acorn. Are they available with the Fire Stick? Our Direct TV promotion is up in October and as “the older” generation, we need easy please. Is it really that easy to use? To my knowledge, those are available with the Fire Stick. Sorry to hear that. I’d recommend Hulu with Live TV as a suitable replacement and should easily save you $50+ per month. We currently have Charter/Spectrum at $182/mo. It’s the worst cable service ever. We are considering letting cable go, but not quite ready. My partner has to have his Portland NBA Blazer games. We live about 100 miles from Portland in a small coastal town in a heavily wooded area, so we may or may not be able to get the NBA games by antenna? We also just got Amazon Prime and are trying to decide between a Roku or a Fire box. The main problem here is hooking up to NBCNW to get the Blazer games (without paying a $200/season fee). We currently get them with Charter, but if we let Charter go…any suggestions? Direct Now won’t work for this. Ouch, sorry to hear about price Joan. Here’s a good post on how to get Internet without cable. For that channel, have you checked out Sling TV or YouTubeTV? Both carry NBC Sports. No, the Amazon Fire TV Stick does not have local channels like that. Check out our guide on how to watch local TV without cable to see what you need to do. I really like my firestick just 1 issue, not able to get the APP UnivisionNow and telemundoNow is nothing like it. Do you know if its under a different name? Unfortunately, I don’t Julissa. Sorry to not be of more help. I am debating on whether to purchase the Amazon Fire TV stick and have read your article. I had Comcast’s basic plan so it doesn’t offer much. Most of the shows I watch are on ABC, NBC and CBS. I read your list of channels and only see CBS. My daughter just purchased this and from what she can see if you want to watch shows on ABC or NBC you have to pay monthly fees. I am trying to get rid of cable to save those monthly fees as I am on a limited fixed income. If I understand you listing those two channels are not part of the free ones. That’s right Sandra, for local TV channels you will need a digital antenna – but it’s only a one-time cost of $50-60, or less. You can check out how to do that with this post on how to watch local TV without cable. I lost my fire stick remote. can I use a universal remote or an app on my android instead? Great question Victoria. After doing a little bit of research on what to do if you lose your Fire TV stick remote, there is an app Amazon offers on both Android and iOS devices. It allows you to pair it to your device and use the app for your remote. I’m looking at getting a second firestick because the one I have is connected in a way that it’s not easily accessible to remove and switch to another TV. Is it possible to have two firesticks on the same account? That’s a great question Pam. You can have as many Fire TV sticks as you want. Amazon allows you to stream to three devices at once, so that’s all that really matters. So I’m hearing more and more about people “cutting the cord” which I, of thousands of people, want to do because of paying high prices for triple play bundles that are supposed to “save money”, and I like many others play the switch provider every 2 years game. I’m sick of it and want out! I’m reading more and more about Amazon FireStick, Amazon TV, Roku and the other options, how to get my movie channels (HBO, Starz, Cinemax, Showtime, TMC) as well as specific tv channels my family watches. I just switched over to another provider for the time being, but on 1 tv I am going to purchase the Amazon Firestick and play around with it, to see everything I can get for it. If this works out and this is the way to go, I am very much looking forward to cutting the cord and saving money!! There are definitely a lot of options out there to get what you want to watch without paying $110+ per month. Check out this post as it gives you everything you need to know to cut the cord and what streaming providers are best for your needs. I have amazon prime and a firestick. I’m trying to understand this firestick. When I click on something and it says “download you own it”. Am I buying something or is it free? I’m afraid of buying channels when I thought they were free. That depends on the app you’re clicking on. If you refer to the list in the post, they’re all included. If you’re clicking on something else then it’s not included. Most of the apps are free, aside from premium channels like HBO or something like that. Sorry to hear about the increase Chuck. I’d ask what it’s increasing to. If it’s anywhere near the average monthly cable bill of $110 per month, then cutting the cord is a no-brainer. You can use a streaming service like Hulu Live, pay $40 per month, and get MSNBC plus 60ish other channel and save the difference. For months now I was able to download apps on my Firestick such as NBC, VH1 and OWN just to name a few and watch Live tv with no problem. I ONLY have Spectrum as my internet provider and now I am getting this message: “Access to this program is not included in your Spectrum tv subscription” which is preventing me from watching those apps. now. Sorry to hear that. Unfortunately, that would be a Spectrum issue and not a Fire Stick issue as it’s always dependent on the ISP you have. Sorry to hear that Geri. I’m not certain what the problem might be. Have you reached out to Amazon to ask for help? They might be able to give better assistance. No, you’ll need to have a streaming provider like Hulu Live to get those, and most, cable channels. You list Fox & Golf but they are not live…just snippets of video….this is not clear to us newbies. You’re mistaken Sally. I just referenced Hulu Live, which is a streaming platform and a replacement to cable – they’re the actual live channels. As much as streaming is made to sound like an easy replacement for cable, I have been very frustrated with access to sports games. I just paid a subscription to PGA for the Waste Managment Golf tournament and the streaming was cut off before today’s end!!!! I had already tried Sling Orange-Blue which is suppose to work and then learned via chat that the game was not covererd! How does one find out HOW to get a game in a ‘non-covered’ area of northern California? Sorry to hear about your frustration Sally. Streaming is an easy replacement for cable. I’m not a tech genius by any means and we’ve been cable free for 3+ years. No, the Fire Stick does not offer those channels. Your best bet to get those will be Sling TV. Is the E channel available? Nope, you’ll need a streaming service like Hulu Live or Sling TV to get E.
Until the past week we have had no problems watching Hallmark with our Fire Stick using Xfinity as our cable/internet provider. Why can I not watch Hallmark Live now?? Sorry to hear that Lori. Hallmark is actually not an available channel on the Fire TV Stick. It sounds like you may have jailbroken your stick to get additional channels, so we wouldn’t be able to help. That said, we do have a guide on how to watch Hallmark Channel without cable that should help. I am currently paying 62.00/mo for ATT internet, and 116.00/mo for Dish. My local channels I use an antenna for. I checked out the cost of switching to Comcast double bundle and it would save me about 30.00/mo from what I am paying now. I’d get 50mbps internet and 200+ Preferred pkg. I do watch alot of TV, record shows for when I am not going to be home to watch later. I have one DVR and a joey. How do I, or can I, cut down cost and still see ALL of the same channels ? Hulu with Live TV will be your best option to replace your channels. It has 60+ channels, plus a DVR. Feel free to check out our guide on how to get internet without cable to help on that front.